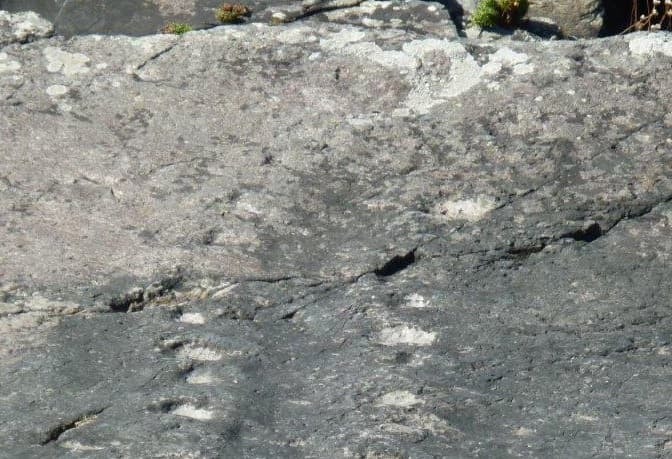 Tetrapod imprints are thought to date from somewhere between 350 and 370 million years ago. This site is of international significance as it is the transition of life from water to land a momentous turning point in evolution and provides the oldest reliably dated evidence of 4 legged vertebrates (amphibians) moving over land on record. 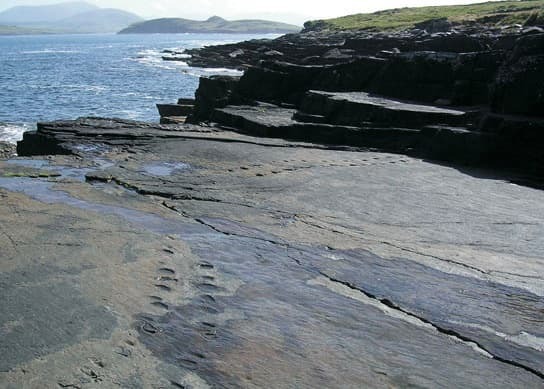 Valentia Island Kerry – Tetrapod footprints are the most extensive of the four trackways in the world. Access to the track way is by a pathway down to the rocks, it can be a challenge but well worth it. The Valentia Island Tetrapod footprints are the oldest record of vertebrate life Worldwide and the beginning of human evolutionary story. 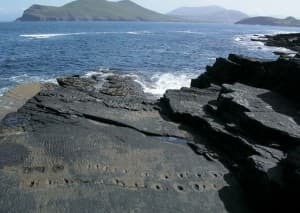 385 million years ago, a primitive amphibian like animal known as a Tetrapod left its footprints on the muddy shoreline when Valentia Island was a swamp land near the equator. It was a very different place to the one we know today and still a very long time before the first dinosaur made his appeared. The tracks record when vertebrates first moved onto land, started breathing air and walking on four limbs. The start of modern life as we know it. The tracks are only a short but slightly steep walk from the car park so it may not be suitable for wheelchair access. To get directions, use our Map of Ireland and Sat Nav tools on our website and our GPS maps on our free ActiveME iPhone and Android App. Feel free to send us your photos and add you own star rating, comments or suggestions below.